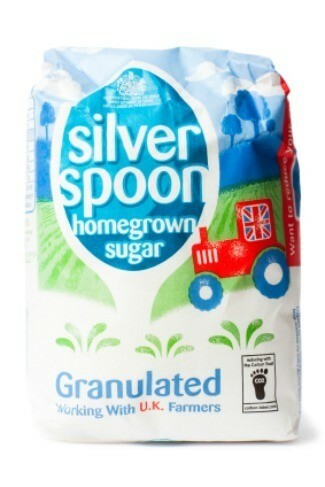 There is an easy way to get rid of lumps in your bag or container of sugar. This is a guide about getting rid of lumps in sugar. To remove lumps from a bag of sugar, seal it in a plastic bag and refrigerate it for 24 hours. What do you put in a container of brown sugar to keep it without lumps? My mother always used a piece of apple or bread but I use a broken piece of terra cotta. Soak in water before adding to the sugar. You can actually buy a little disc made of terra cotta to do this. I keep my brown sugar in the freezer and have never had any lumps. I use a damp paper towel. slice a piece of apple and put it in the bag with the brown sugar and close tightly. It will always be soft. You can use a piece of apple-that helps some. If there are lumps a few seconds in the microwave - container and all usually does the trick for me. I have been making my own brown sugar lately using 2 cups white sugar and some "blubs" of molasses. That seems to keep my brown sugar moist enough. Place a piece or two of WHITE bread on top of your brown sugar and then seal it in a tight container for at least twelve hours. Change the bread often. Do not use wheat it will sprout and leave you with bad sugar that will have to be thrown out. You can also buy a clay item in kitchen stores that you soak in water and place on top of your sugar in an air tight container that allows the sugar to soak up the moisture.